WORKSHOP with Vanessa Ashcroft at Wangaratta Art Gallery 2. FLOOR TALK with Vanessa Ashcroft in the Main Gallery 1. FREE Demonstration & Workshop with David Becerra (JASCO resident artist) using Winsor & Newton, Liquitex Conte de Paris products. Find out more about David Becerra here. Meet and greet fellow artists. Receive your Registration & Welcome Kit. PAINT PRESTO PAINT DAY BEGINS! From 9.00am at Wangaratta Art Gallery 2. Artists will be notified when they are required to collect PAINT PRESTO PASS & Authentication Stamp on selected supports (paper/canvas). Event begins with Artists heading out to their place of choice to create an artwork. The scope is endless. FREE to public Workshop with David Becerra (JASCO resident artist) in Gallery 2. Explore a range of quality art mediums. Artists return to Wangaratta Art Gallery 2 with completed work Artists prepare artwork for hanging in the Gallery. PAINT PRESTO EXHIBITION is open all day to the public with works available for sale. All purchased artworks and unsold works are to be collected by buyers and artists from the Gallery between 5-6pm. All unclaimed work will be donated to charity. Working with mixed media will be a fun three-hour, get down and dirty experience using a variety of mediums to create a flammable work. We will use images to draw from using collage, inks, charcoal, paint, bitumen and shellac. Working on paper the process will be creative, fun and satisfying for all artists from beginners to professional. It is never too late to learn new tricks! On Friday 2 November renowned artist Vanessa Ashcroft will run a half day workshop for both Paint Presto participants and other interested members of the community. The Mixed Media three hour workshop will run from 9.30am – 12.30pm. This wonderful opportunity to work and learn from Vanessa is not to be missed as there are only limited spaces available. Cost for the workshop is $40. Book you place here. Vanessa will talk about her art practice, running two galleries, the business model and how art in all forms can change your life. 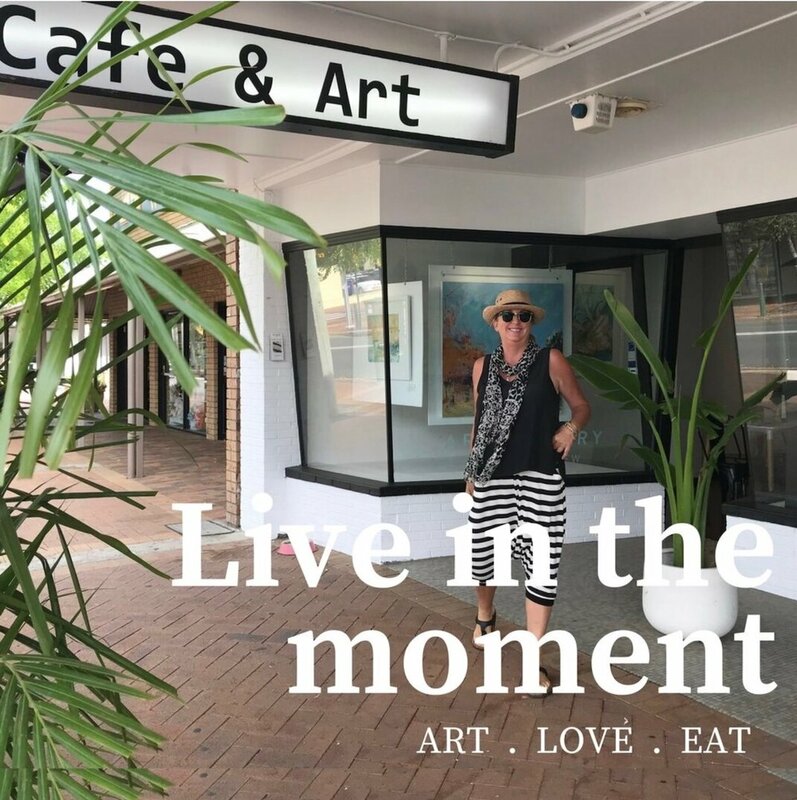 Entering the art world later in life after owning a fashion label, child rearing and family commitments, discovering art was life altering and now totally fills Vanessa's life in many aspects. Not only picking up a brush, but seeing the world, colour and life differently. This talk will be inspirational, fun and straight from the heart. Let's talk art! Cost for this floor talk $20, with limited spaces available. We are extremely fortunate that we have wonderful supporters of the Arts in our local businesses as well as JASCO (Winsor & Newton Water Colours, Liquitex Acrylics and more). Many thanks to the following businesses and people who support PAINT PRESTO to continue and thrive.